New Jersey Fire And Water Restoration Contractors Insurance. 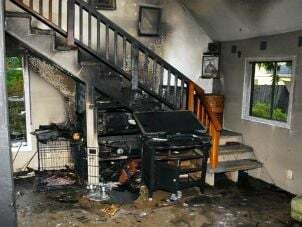 There is nothing much more devastating to a property owner than learning that his or her home or business has been damaged by a fire or water. These types of disasters can completely uproot lives and cause tremendous heartache. Recovering from fire or water damage can be extremely difficult. It requires the expertise of a professional to ensure that the job is done the right way, and safely. Because of the risks that are associated with being a restoration contractor, it's important for you to carry the right type of New Jersey fire and water restoration contractors insurance coverage. Without insurance, you could face tremendous financial strain that could jeopardize your business and put you in financial distress personally. New Jersey fire and water restoration contractors insurance protects your business from lawsuits with rates as low as $47/mo. Get a fast quote and your certificate of insurance now. New Jersey fire and water restoration contractors insurance provides you with the protection you need in the event that someone files a lawsuit against you. It offers coverage for things like legal fees, repairs to damaged property, and compensation that you may be required to make to the party who is suing you. What Type of Insurance Should NJ Fire And Water Restoration Contractors Carry? The amount of coverage you will need as a NJ fire and water restoration contractor depends on several factors; The size of your business, the clients you serve, and the types of properties you work on are just some of the factors that will determine the cost of your coverage. To find out more about what type of coverage you need and how much it will cost, make sure you speak to a trustworthy insurance broker. 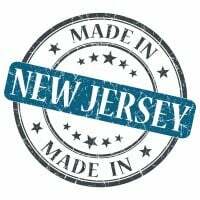 Request a free New Jersey Fire And Water Restoration Contractors Insurance quote in Asbury Park, Atlantic, Bayonne, Beachwood, Bellmawr, Bergenfield, Bound Brook, Bridgeton, Camden, Carteret, Cliffside Park, Clifton, Collingswood, Dover, Dumont, East Orange, Eatontown, Edgewater, Elizabeth, Elmwood Park, Englewood, Fair Lawn, Fairview, Florham Park, Fort Lee, Franklin Lakes, Freehold, Garfield, Glassboro, Glen Rock, Gloucester, Guttenberg, Hackensack, Haddonfield, Hammonton, Harrison, Hasbrouck Heights, Hawthorne, Highland Park, Hillsdale, Hoboken, Hopatcong, Jersey, Keansburg, Kearny, Kinnelon, Lincoln Park, Linden, Lindenwold, Little Ferry, Lodi, Long Branch, Madison, Manville, Metuchen, Middlesex, Millville, Morristown, New Brunswick, New Milford, New Providence, Newark, North Arlington, North Plainfield, Oakland, Ocean, Palisades Park, Paramus, Passaic, Paterson, Perth Amboy, Phillipsburg, Pine Hill, Plainfield, Pleasantville, Point Pleasant, Pompton Lakes, Princeton, Rahway, Ramsey, Red Bank, Ridgefield Park, Ridgefield, Ridgewood, Ringwood, River Edge, Roselle Park, Roselle, Rutherford, Sayreville, Secaucus, Somers Point, Somerville, South Plainfield, South River, Summit, Tenafly, Tinton Falls, Totowa, Trenton, Union, Ventnor, Vineland, Wallington, Wanaque, West New York, Westfield, Westwood, Woodbury, Woodland Park and all other cities in NJ - The Garden State.